Happy New Year! December was a fun filled month and a great one to end the year. There are so many fun holiday events throughout the month in the DC area and we tried to do as many as possible. I love experiencing the magic of Christmas through my children. These years when they are little and truly believe in Santa is precious and I want to make the most of this time. So, we went to few different Santa events, a couple of light displays, a gingerbread house workshop, and a few different holiday shows in the theaters for a thoroughly festive Christmas season. 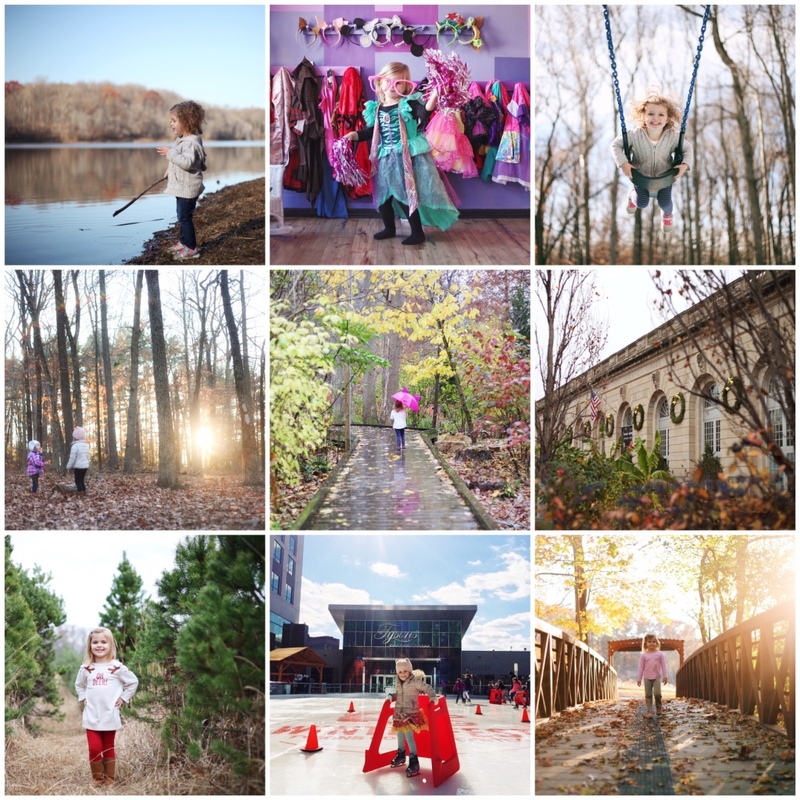 Below is a recap of where our adventures took us this month. Dumbarton Oaks was one of my favorite new (to us) places we explored and my girls really loved it too. The best part is that it is free during the winter months, so take advantage and check it out on a warmer winter day. You can also take your kids to the playground at Montrose Park right next door while you are there. The National Postal Museum was also surprisingly nice! No crowds and lots of different interactive exhibits for kids. And it’s right across the street from Union Station where you can grab lunch. I hope you found some good ideas for your family in this month’s list. Thank you for following along on our adventures and for all your support over the past year! Wishing everyone a wonderful 2016! Just before the holiday season, I heard from Lily Yeh, the owner of Little Loving Hands and learned all about her new company she recently launched. I immediately knew that this was something I wanted to get my girls involved in and also share with other parents. 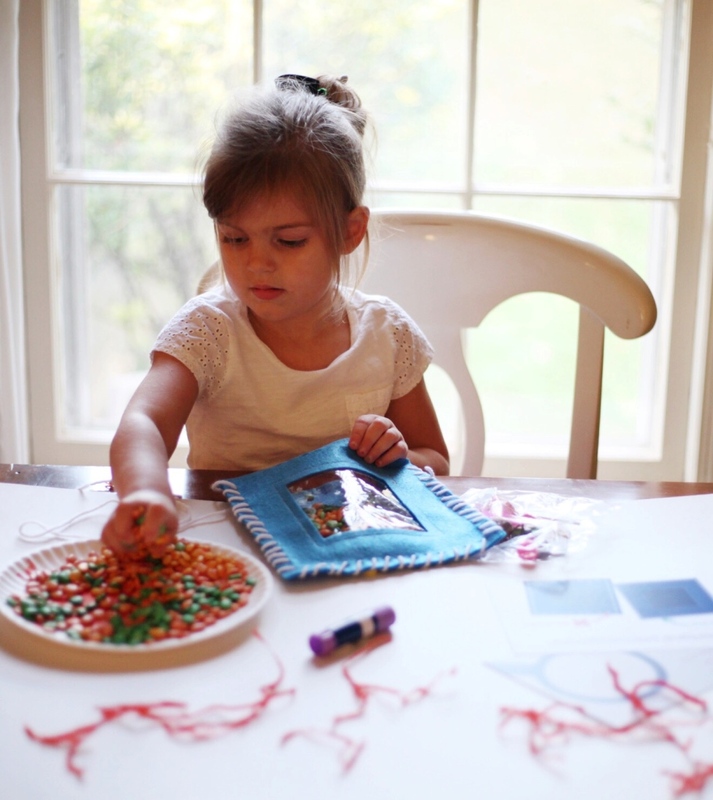 It is a monthly subscription service that delivers pre-packaged craft projects for kids to do at home. Similar to Kiwi Crate or Green Kid Crafts, except that with Little Loving Hands, the final craft product is sent to an organization in need. 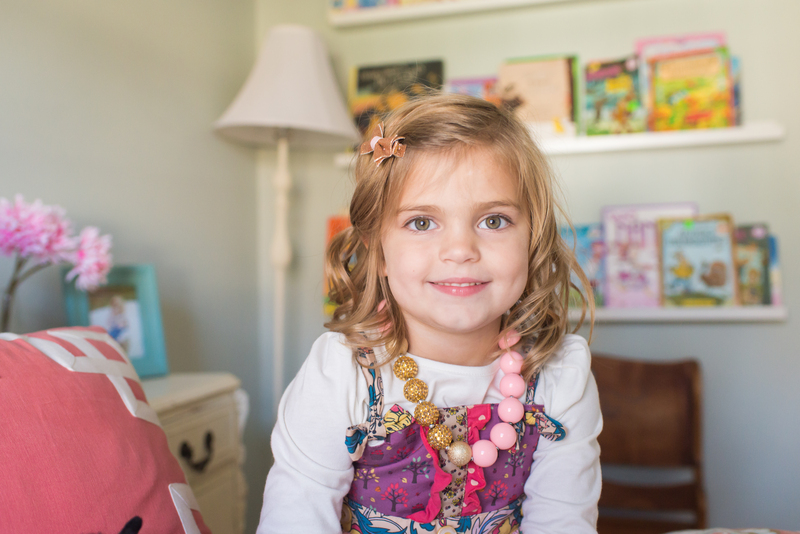 “A monthly service to let the littlest people use their biggest hearts.” As a parent, I feel a responsibility to teach my girls the importance of being kind and helping others and this craft kit helps to do that. 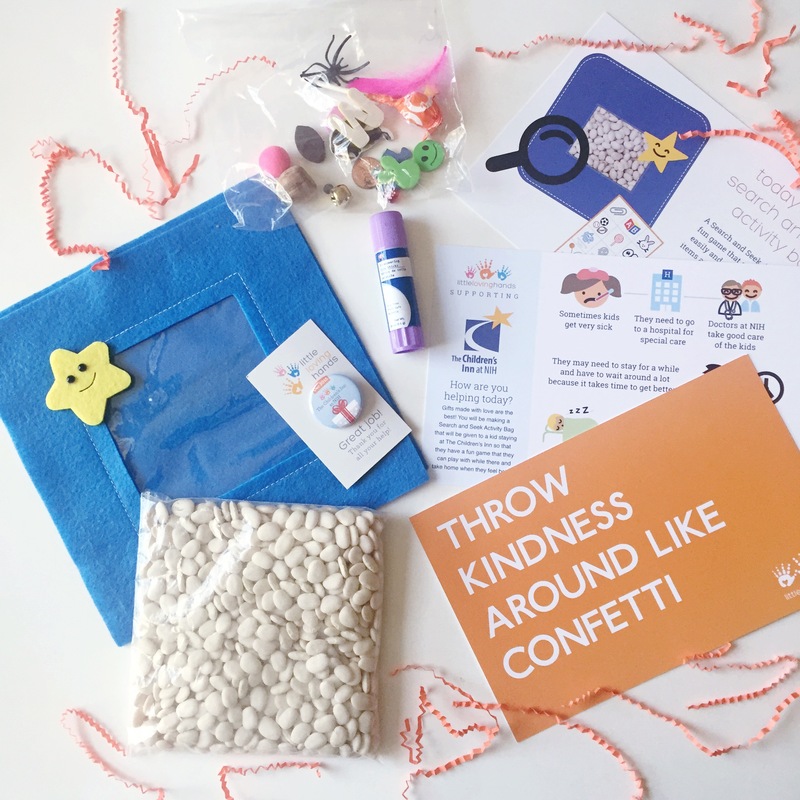 We received our neat little box in the mail and upon opening it, there was a card that read “Throw Kindness Around Like Confetti.” What a great intro for the project! 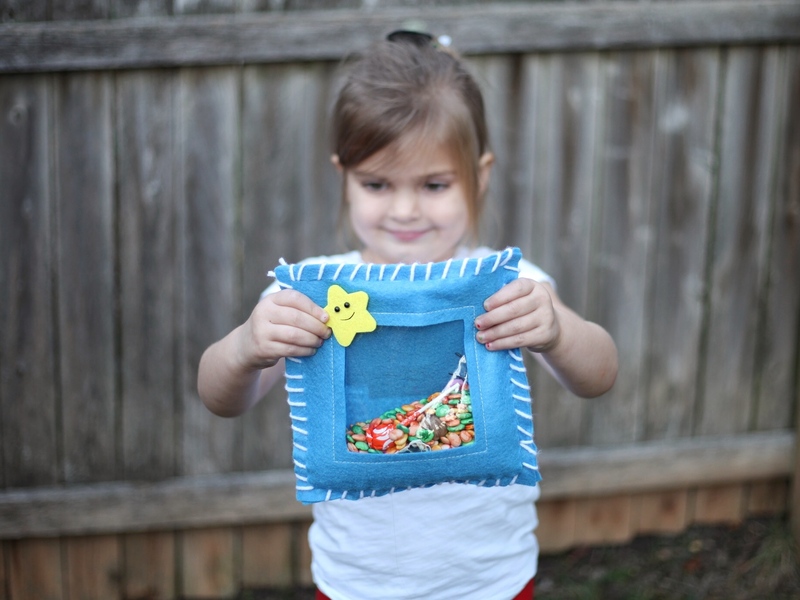 This month’s craft was a Search and Seek activity bag – a fun game that can be taken around easily and played quietly. The box included a card with a simple story explaining who we are helping. This month the craft is supporting the patients at The Children’s Inn at NIH. After reading it to my 4 year old, she was sympathetic and eager to make a fun activity that she would send to help another child. The box included all the materials needed to make the craft (glue stick and all) as well as very clear and concise instructions to follow. It also allowed for some creative freedom with deciding whether or not to dye the beans and which colors to use. The kids also got to choose which objects they wanted to include in the activity bag. Just enough to make the kids feel like it has their own special touch. There is also a pin and a “Certificate of Achievement” you can give your child when they have completed the craft. 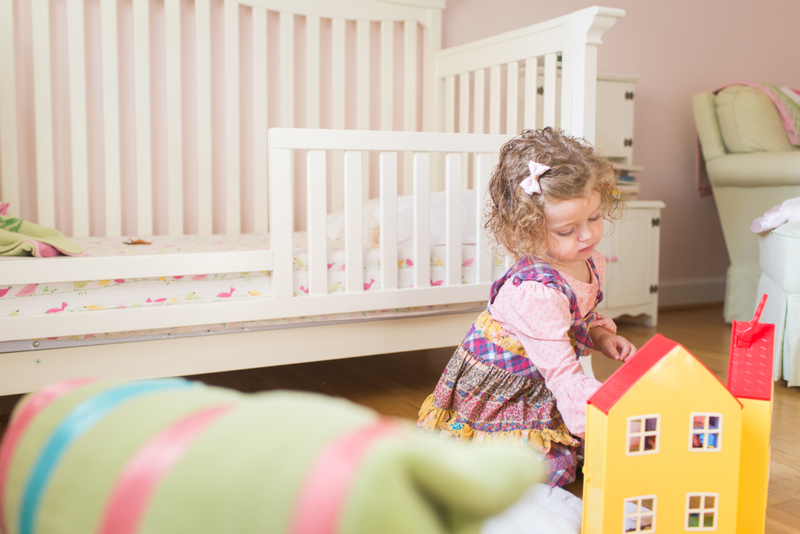 The projects are designed for children ages 3-7 but I think older kids would enjoy them too! My girls love art and craft projects but I struggle with the accumulation of stuff at our home, so I love this whole idea! We get to experience the craft together and then ship it to a charity. I signed us up for a subscription because I thought it would be a great way to start the new year — making sure we spend more time giving back. I also think Little Loving Hands would make a wonderful gift for birthdays or holidays. It’s something that is educational, heartfelt, and fun, so what’s not to love about it!?! Subscriptions start as low as $20/month. 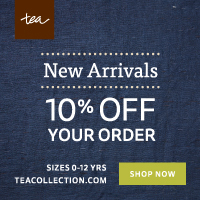 Head over to the Little Loving Hands website to get started! A few weeks ago my family had the pleasure of meeting Yehudis and having her photograph us in our home. We were immediately comfortable with Yehudis and my girls were happy to welcome her into their bedrooms and eager to show her their toys. As a mother of 4, Yehudis is relaxed and patient, knowing first hand how to work with young children. Yehudis had such a great way of interacting with my girls that made them feel like they weren’t even part of a photo shoot. They were simply having fun. I absolutely love the way Yehudis’s photos tell the story of life as it really is. For example, the two images below were taken only a couple minutes apart. 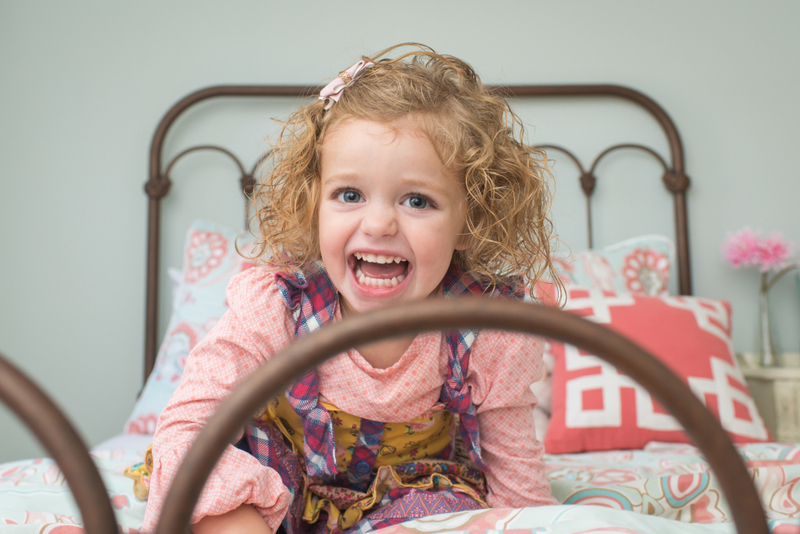 Toddler mood swings are very much a part of our lives these days! It’s photos like these that will help us remember all the details about our girls at these ages. 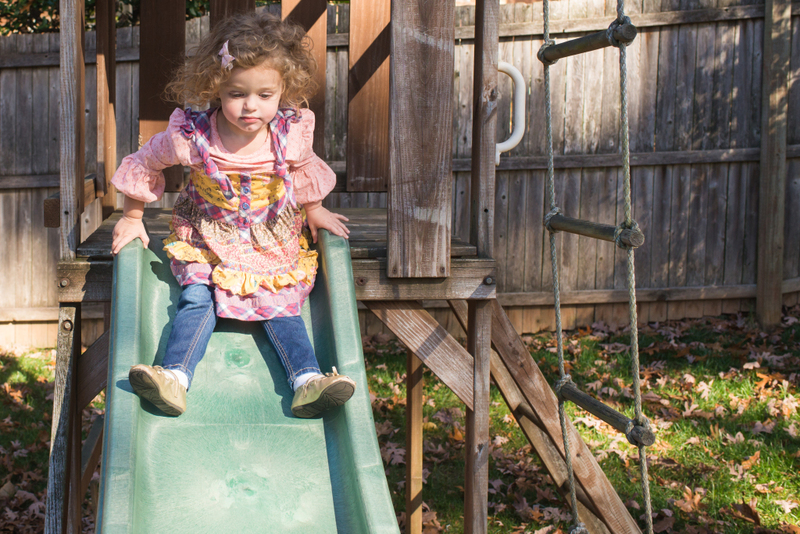 Clara and Mae had quite a bit of energy to burn, so we headed out to the backyard after taking photos in each of their bedrooms. 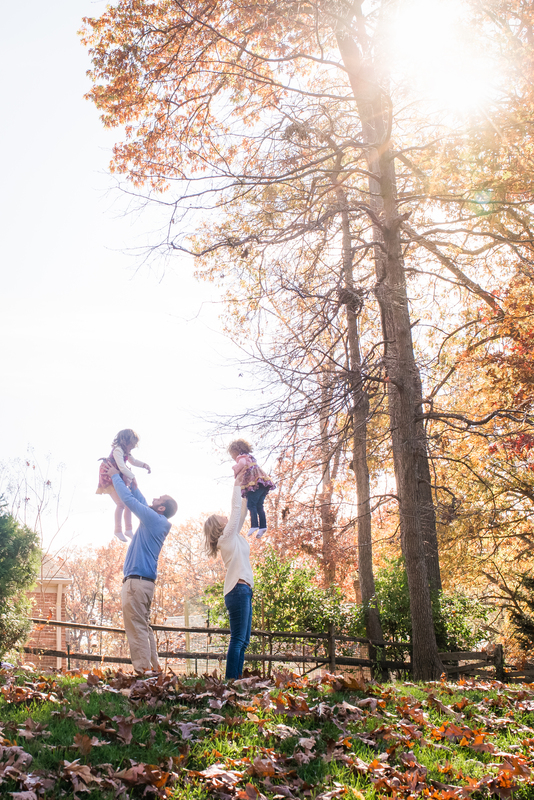 Yehudis captured us playing together as a family, just as we would do on any regular day. We had a lot of fun – jumping on the trampoline, blowing bubbles, and playing on the swing set. There wasn’t any “say cheese” or posing going on at this photo shoot which made it feel very natural and easy for the girls. 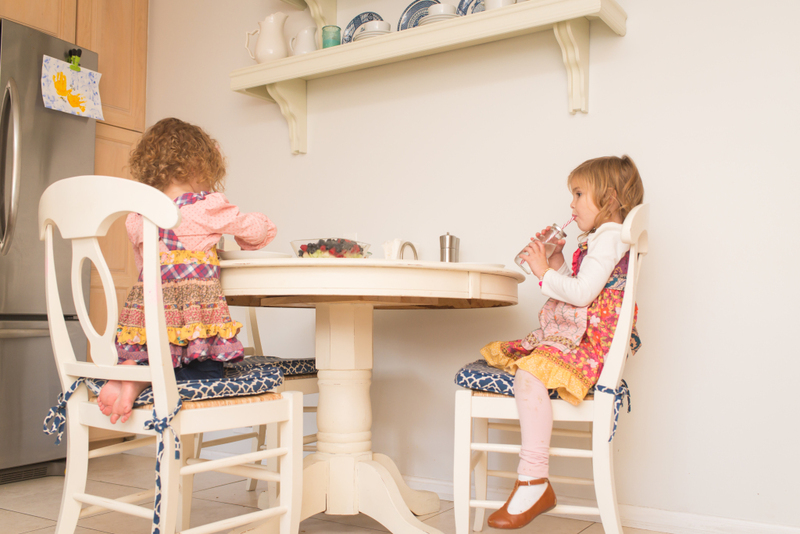 After playing outside, Clara and Mae were ready for a snack so we went inside. Yehudis can even make snack time look beautiful! It’s these little everyday moments that I wouldn’t think to capture but now looking at them in photographs, I see how they tell such a sweet story about our life. That is the beauty of Yehudis’s in-home sessions. These details about my family couldn’t be captured if we were shooting at park or studio. There were so many good photos from this shoot that I had trouble narrowing it down to just these for this post. Seriously, so many beautiful ones to choose from. 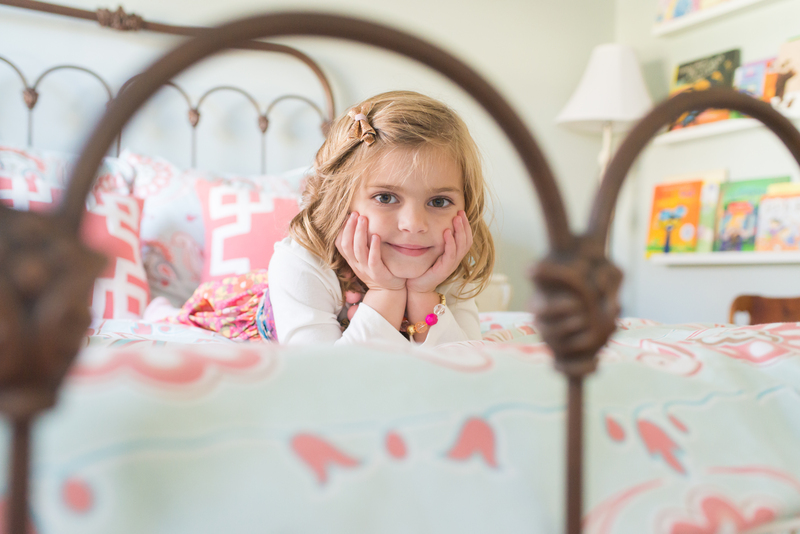 I will be updating the frames around our house with lots of photos from this shoot. 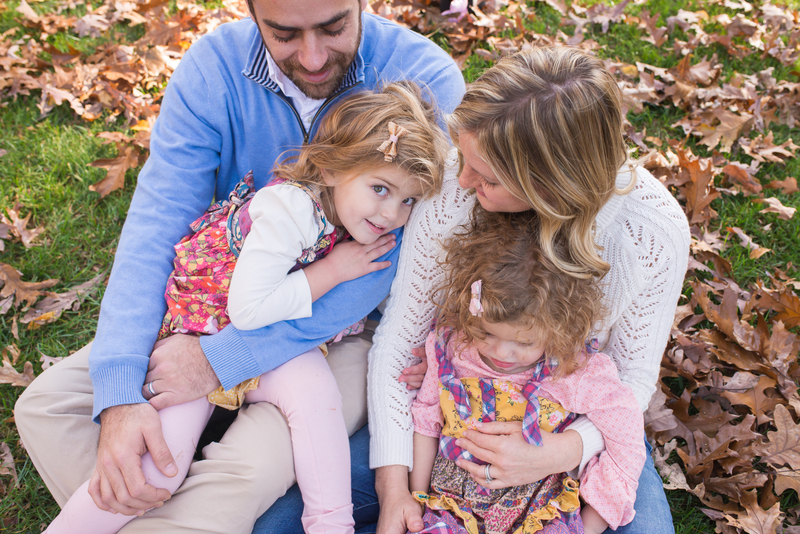 I am forever grateful that Yehudis captured this moment in time with my girls. They are growing up way too fast and having these photos to look back on with nostalgia will be something my family will enjoy for years to come. If you want to learn more about Yehudis, check out her Instagram and Facebook pages. BusyBees is one of our favorite indoor places to play, so when it was announced that Santa would be making a stop there, I just had to get tickets. The kids started out playing in the playground when Santa made his grand entrance playing the bagpipes! It was such a fun surprise! I was so impressed with this Santa, who had a very detailed costume and a real beard! How authentic! Then he gathered all the children around him for story time. Santa performed a few tricks like making snow and Olaf the snowman magically appear, which was a big hit with the little ones. Then it was time for each of the children to have their individual visits with Santa. 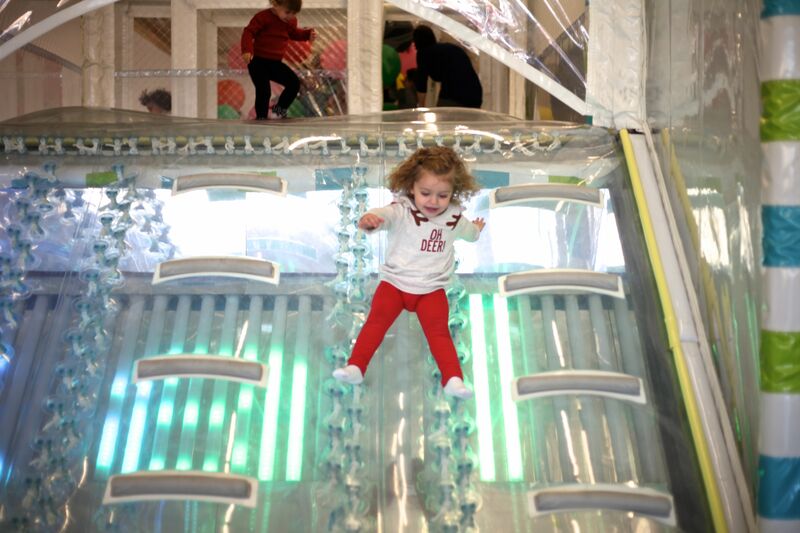 To make the experience even more magical for the kids, BusyBees sent a questionnaire to the parents in advance of the event to gather information about their children. So when the children sat down with Santa, he knew special things about them like their pets name, favorite Christmas gift from last year, teachers name, etc. 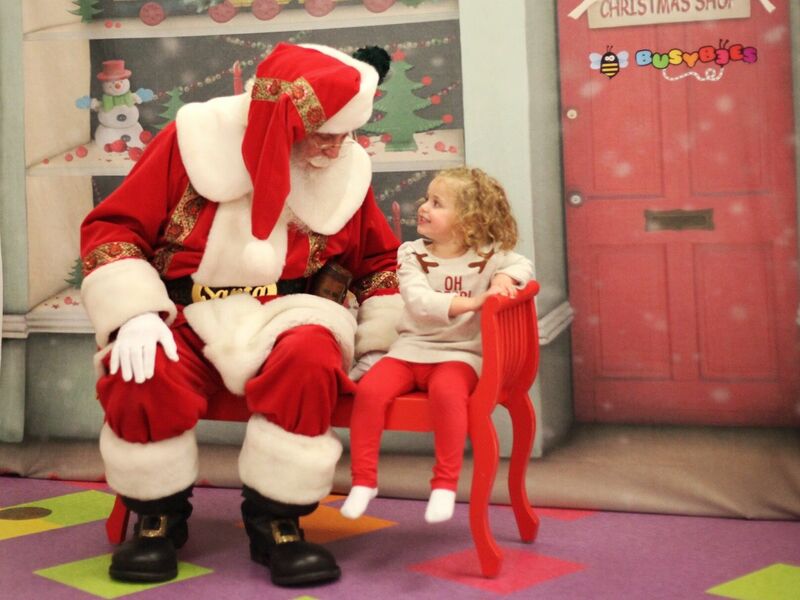 When it was Mae’s turn with Santa, she wasn’t sure about sitting next to him at first. But then Santa knew that she loves to sing the alphabet, so he asked her if she would sing to him. She happily agreed and climbed onto the bench next to him and sang the Abc’s. It was quite the sweet moment! 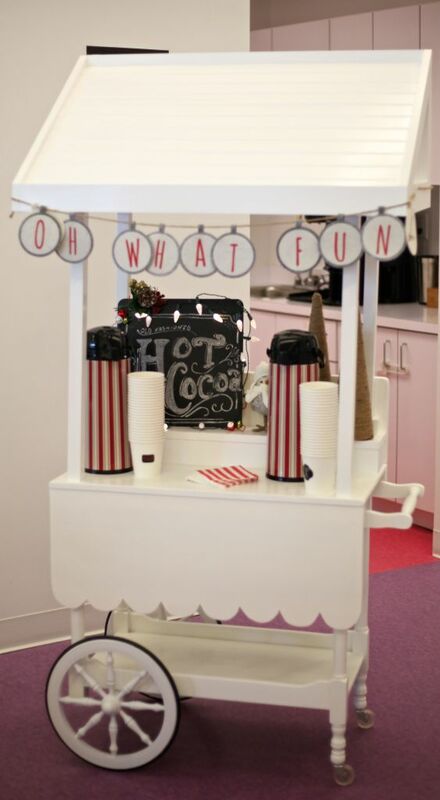 Busybees definitely put their creative party planning touches into this event with the cutest hot cocoa cart. 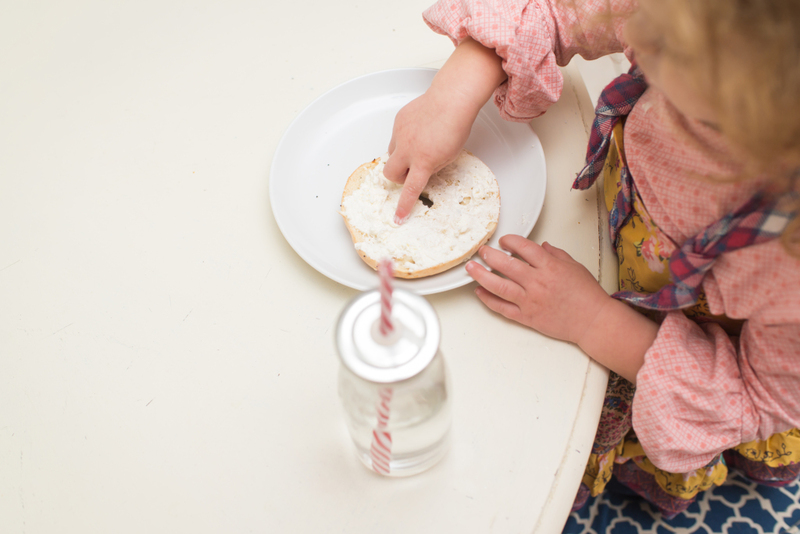 It paired perfectly with the Chick-fil-a chocolate chip cookies and made for a festive and kid approved snack break. There was lots of extra time for fun in the playground. Mae must have gone down the slides at least 50 times. 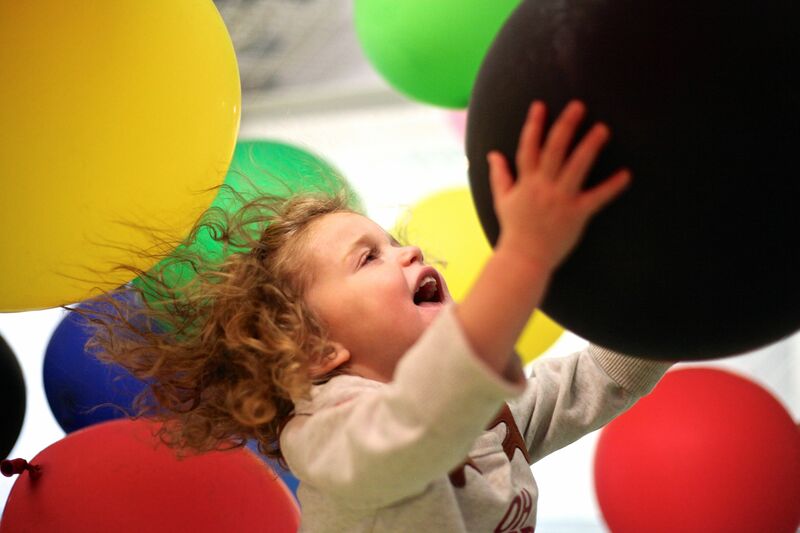 She also spent a lot of time in the room full of flying balloons. It’s pure joy in here! The giggles are everything. If you haven’t yet been to BusyBees, take a look a this post I wrote with additional info. 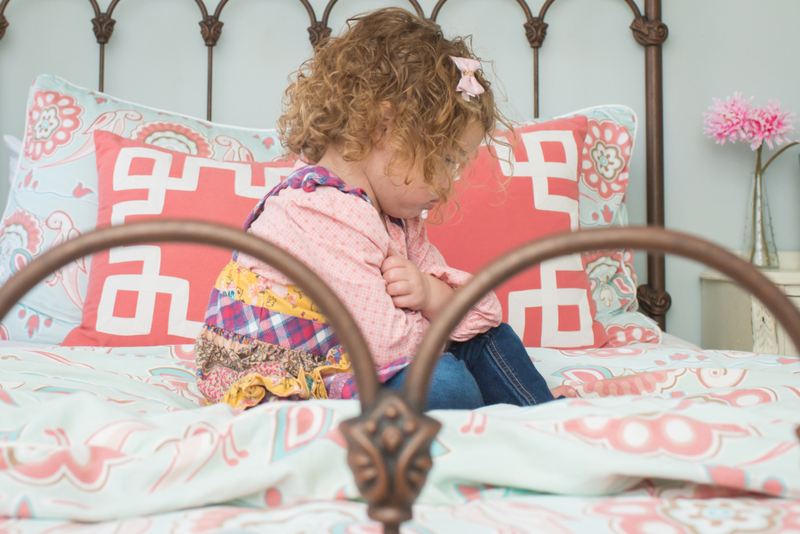 And parents, trust me you will love the extra long nap your child takes after spending a morning at BusyBees! 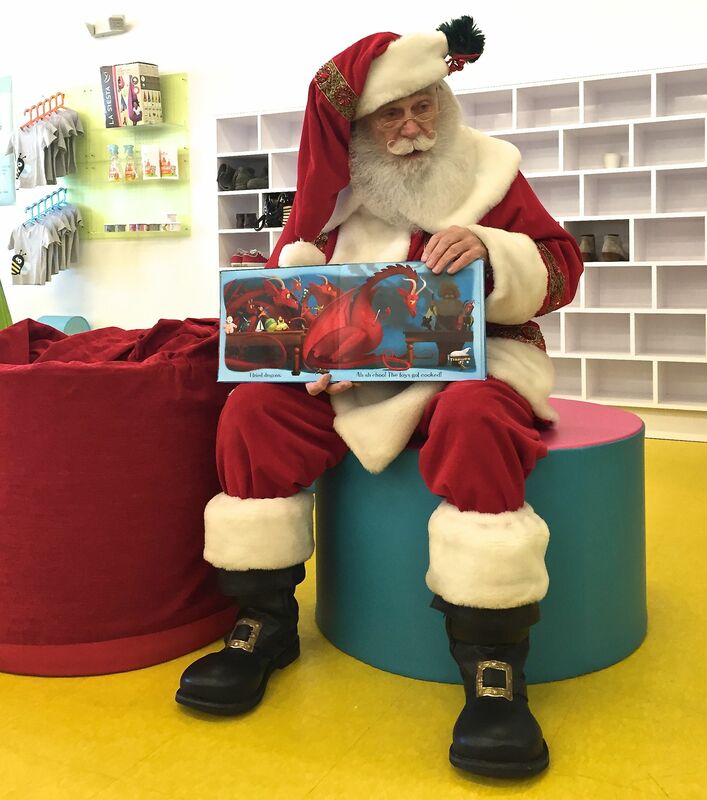 Santa and Mrs. Claus are visiting BusyBees one more time before they head back to the North Pole on Tuesday, December 22nd from 1-3pm. The event is already sold out but there is a waiting list if you are still interested. Next year remember to snag your tickets early for this super fun event! Well, November went by in a flash. I really can’t believe I’m already recapping another month! I didn’t have much planned for November because I thought we would slow down a bit before all the holiday activities and events. But we ended up going on a bunch of spontaneous outdoor outings to make the most of the warm fall days. 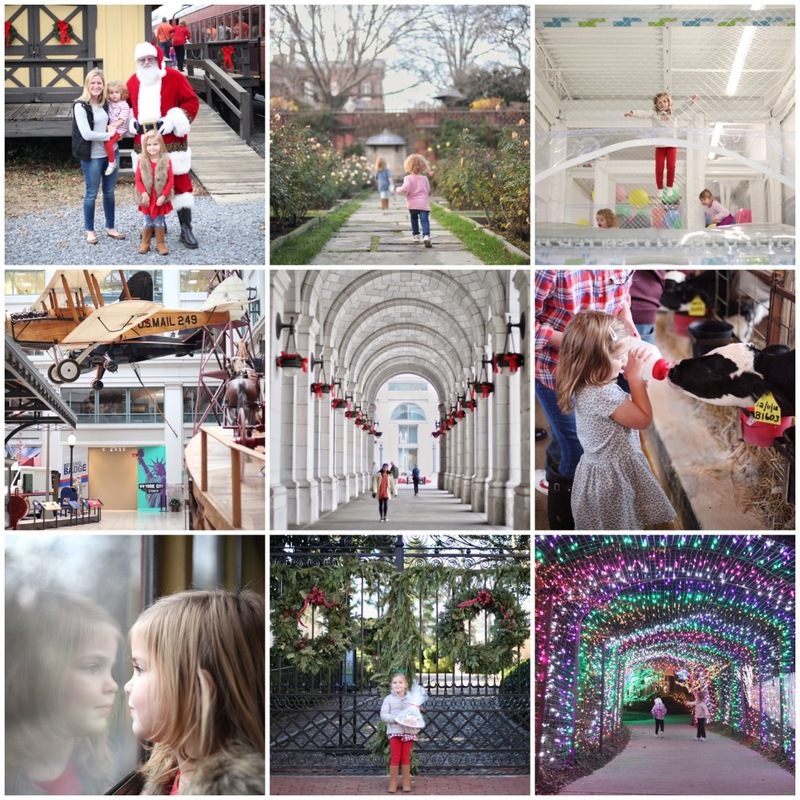 Here is a recap of where our adventures took us this month. The Wizard of Oz playground at Watkins Regional Park was definitely a highlight for my girls. There is so much to do there it is worth the drive. We also went to a new (to us) children’s museum – The Original Playhouse Museum, which is the cutest place for children to use their imaginations. I’m sure we will visit again this winter when it’s too cold to play outside. We also went to one of my favorite holiday exhibits at the end of the month – Seasons Greetings at the U.S. Botanic Garden. I hope you found some good ideas for your family in this month’s list. So much to look forward to this month. I’ve posted a lot of holiday events and activities on the calendar. Happy December!